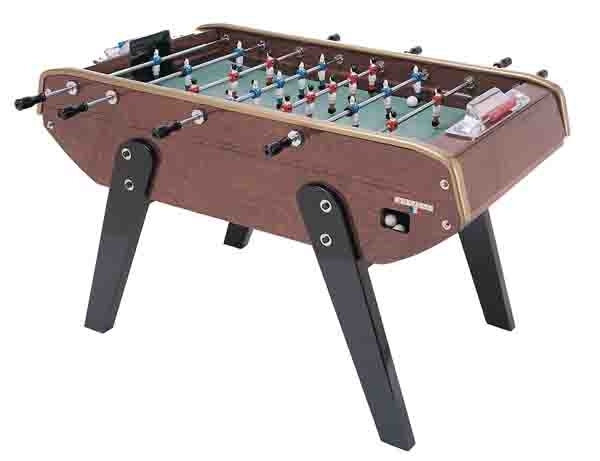 The B90R is a very similar table to the standard Bonzini B90 table with the exception of a different laminated wood color on the exterior of the table. The rustic model is made with a rustic walnut cherry finish that gives this table a darker tone to match different types of home decor. 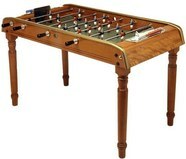 Bonzini tables are intended to be played with a European style of foosball that is widely different from the smash mouth American style. 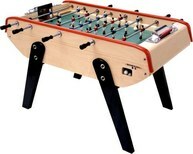 These tables are great for ball control and finesse foosball offense. 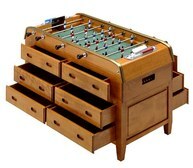 The B90 Rustic has high-end foosball parts that are made to last for years to come. 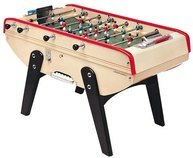 With hand polished aluminum foosball rods, heavy aluminum foosball men, and cork foosball balls you will get the ultimate ball control. 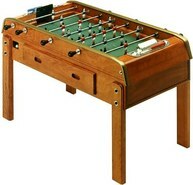 Pin shots, rebounds and trick shots are very common when you own a Bonzini foosball table.